Facebook Narrowly Beats Revenue Expectations; Market Isn't Impressed : The Two-Way The company released its first earnings report as a publically traded company Thursday. 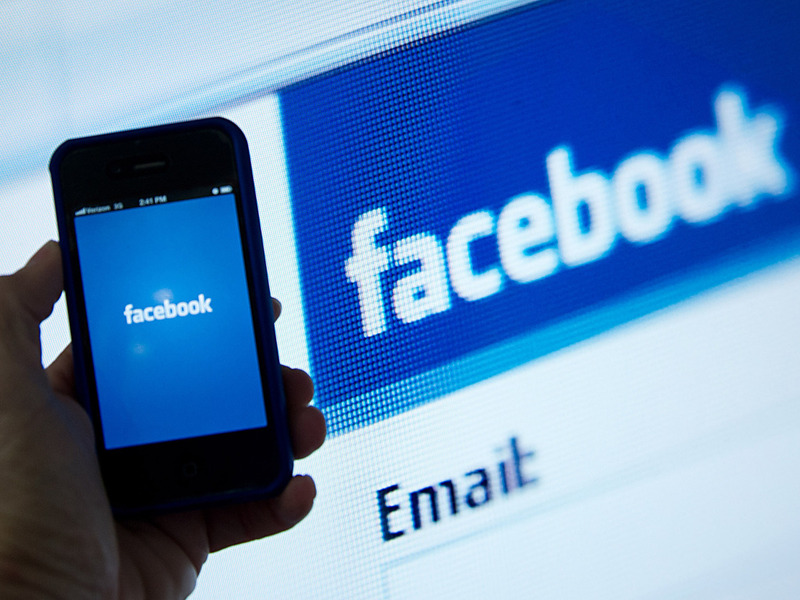 Mobile devices are key to Facebook's growth potential. Can it deliver? Facebook reported slightly stronger than expected profits. For the second quarter, it reported a net loss of $157 million or 11 cents a share. But when it adjusted its earnings to remove stock compensation charges related to its IPO, Reuters reports, Facebook actually made 12 cents a share. The Wall Street Journal reports that the company met analysts' expectations. But its stock dove in after-hours trading. "Analysts polled by Thomson Reuters predicted earnings of 12 cents a share on revenue of $1.1 billion," the Journal reports. Revenue beat expectations coming in at $1.18 billion. Facebook faces its biggest test since a disastrous initial public offering when it releases its first earnings report as a publically traded company this afternoon. Analysts and investors are eager to see if the social media giant can deliver on the hype that put a $100 billion value on a company born in a college dorm room. "The stakes for Facebook are high," NPR's Steve Henn says. "Its stock has lost more than a quarter of its value since its stock market debut [two months ago, in May]. And investors who were betting on rapid growth to justify its stock price have reason to worry." Indeed, investors got more worried Wednesday after Zynga, the social gaming company that got millions of Facebook users addicted to "Farmville," announced disappointing results and lowered its forecast, sending its stock tumbling. Zynga accounts for about 12 percent of Facebook's annual revenue. Facebook "has said, famously, mobile user growth wasn't leading directly to equivalent revenue creation. That's caused concerns given the future is mobile. And any update on progress made, or lost, will garner even more attention." As more people put smartphones in their pockets and tablets on their laps, a mobile strategy becomes crucial to Facebook's growth. "The specific challenge for Facebook is that it is only just now starting to try to monetize this mobile usage," Citi Investment Research analyst Mark Mahaney said in a note to investors, according to The Associated Press. He said Facebook's current plan is to insert "sponsored stories" — ads based on friends' activities — into users' mobile feeds. "But it is very unclear how this will play out, how users will react to changes to what has been an ad-free mobile experience to date, and whether these ads will be effective on mobile devices," Mahaney wrote. The report is scheduled after the stock market's 4 p.m. ET closing. Analysts expect Facebook to report earnings of 12 cents a share on revenue of $1.15 billion. According to comScore, the number of users in the U.S. — where Facebook earns most of its ad revenue — fell from April to May, Henn notes. "But a small drop in engagement in the U.S. may not matter if Facebook can illustrate that ad sales and revenue growth are growing more strongly than expected," he says. "But if Facebook fails to deliver on analysts' expectations , watch out below."